I maybe should have done the compatibility chart, but I’m not sure that’s the issue. Plus, there are two guys involved and I don’t know either one’s birth time. It’s not really about compatibility anyway. I hope this is not too much confusing detail! I’ve been married about a year and a half to a [Taurus] guy. We’ve had quite a bit of conflict, mostly surrounding my frustration with what I perceive to be his laziness. This past January/February (2008) after he did little but play video games for two months straight, I simply felt like I could not tolerate another minute. Well, I’m still there, but things are better. However, I’ve come to realize that we’ve never had a true emotional connection. That has led to a number of other problems, I think. Around the end of January, I finally decided to pay the small fee to check out one of those reunion sites because I had received emails for years saying people contacted me. I guess I was curious. I thought it would be some old friends from high school. Instead, I was shocked to see that [a] guy I was involved with in college on and off from 1993-1995 had read my profile four times, three of which were before I got married and one was last fall. I contacted him. I would’ve done so even if my relationship were going well, just to say hello to an old friend. We have emailed on and off for the past 7+ months. He lives across the country. The emails are platonic, friendly. No talk of meeting, etc. But we had a great connection back then. I never forgot about that all these years and now chatting with him has made the feelings even stronger. So, it’s not that I’m looking for compatibility with either one of these guys. This is mostly background for how I’m feeling right now. It’s as if the more I remember the connection and passion with someone else, the more I realize how little connection and passion I have with my own husband. I see him more like a brother or even a 15 year old son (which makes intimacy strange!) but I know he sees me as a wife/lover. Should I leave both of these guys behind? Pursue one but not the other? Pursue both (ok, that’s probably not advisable :). I know that most advice sites attack people for anything that even alludes to cheating. I hope you won’t waste my money by focusing on that. Thanks for your advice!! As a Leo, passion comes naturally to you [view natal chart]. However, with Leo Rising, that puts Aquarius on your Descendant, or the cusp of your Seventh House of Partnership. You need someone more detached to balance your fiery, proud nature. It is interesting that your husband plays video games and feels more like a kid to you than an equal partner — you have your Moon (children) in Aquarius (electronic media) in your House of Marriage. 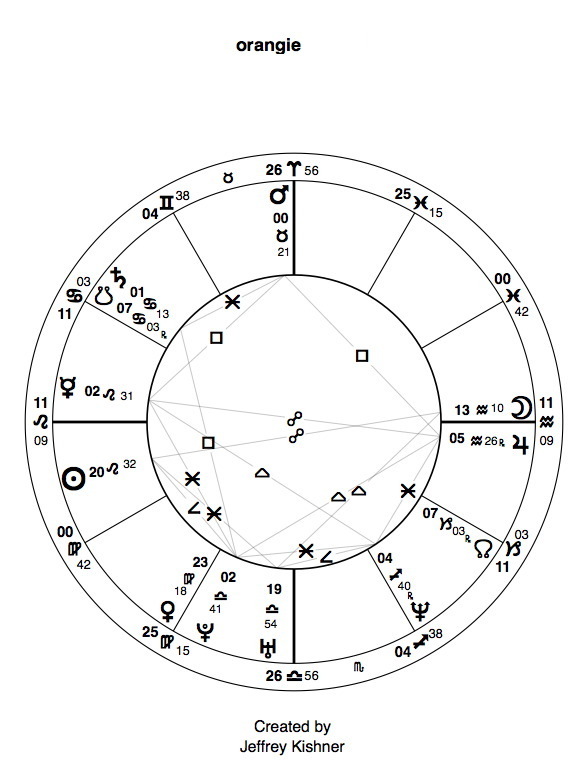 This pattern repeats itself: the traditional ruler of your Seventh, Saturn, is in Cancer (ruled by the Moon), residing in the Eleventh House (associated with Aquarius). Besides, as much as you want emotional involvement, it doesn’t come easy to you. The planet of emotions (Moon) is in a sign that intellectualizes and distances (Aquarius), and restrictive Saturn is in the sign of feelings (Cancer), making the emotional world rocky territory for you. You want passion in a relationship, and it’s not happening with your husband. Should you ditch him and pursue your old college flame? Looking at your transits, I’d say you’re starting to come out of the fog (Neptune), and are feeling the urge for excitement (Uranus) in love (Venus), as well as a concurrent need to tear down (Pluto) the walls (Saturn) that leave you feeling cold. It’s not so much a matter of who you pursue or leave behind, as much as how you use this time to radically and irrevocably change how you approach relationship. As both of these transits are oppositions, they’re all about partnership and the need to either integrate the knowledge that you’ve acquired to improve your marriage, or to separate. Jeff is right on the money when he says that this a time to evaluate how you handle relationships before you make a decision about this one. 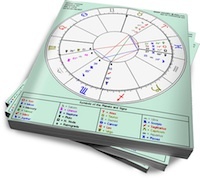 Identifying your personal needs and working it out to get them met is a theme in your chart. Your moon in Aquarius suggests you are very good at operating on broad social levels, (Miss Life of the Party you), but when it comes to the “one on one” you have difficulty navigating the territory. This has to do with your expectations (Venus in Virgo) and your communication style (Mercury square Mars) in personal relationships. It is important for you to realize that a driving need of yours is for “attention” which in your love relationships you translate into “romance”. When you talk about him being “lazy”, its not about earning a living or taking out the trash, but that he is not doing the job of romancing you. But men very rarely view “romancing their partner” as their job in the relationship and I’m not sure it should be. Your way then of seeking attention is draw him out in an argument, which probably gives a good listing of his faults and how he has failed you. (Does this sound familiar?) No wonder he buried himself in video games! Now this is not meant to dump all of this on you, because it does take two to tango, but here’s the thing, you want something but you are not telling him what it is. Whether or not you stay in this relationship is not the issue. This pattern of dealing with those closest to you will surely dog you from one relationship to the next. Get thee to a therapist! You need to learn how to fight fair and express your emotions and needs in a less confrontational way. Good Luck! Mad props Jeffrey. My hero! Thanks Jeffrey. Interesting and insightful – I’m glad I tried this! Beth, I also appreciate your comments. The only point I disagree with is that the passion hasn’t faded – it was never really there. I thought it was a sign a mature relationship, but have since learned that I need passion not just friendship. Also, I’m actually quite confrontation-avoidant. This may not be present in my chart, but is a strong influence from my upbringing. Last, I’ve spent quite a bit of time in individual therapy (including now) as well as with my husband earlier this year. It didn’t go well for us, but I continue to go on my own. @orangie, You’re welcome! Learning “confrontation avoidment” from your family — that could be Libra on your 4th house cusp. This was very helpful. I am too a Leo woman married to a Taurus man and reading this is exactly how I’ve been feeling and exactly what he is doing (video games). I love him but at times I wonder if I’m IN Love with him. With children it makes it even more challenging…we are going on 9 years and its not until late 08 that my feeling have been murky. I’m taking the responses into consideration and to help me figure out how I’m going to handle this in the end. Im dating a leo and i dont understand why she is so drawn to me. we do have a connection but im speculating as to why she seems to have deemed me as a life partner and its only been 2 to 3 months. i enjoy the ship we share but i dont know how long or where this will go. i could really use some leo lady feed back please help me. @scorp . . . I know my lioness saw me as a life partner for sure; I saw her in the same light too. I know I made my mistakes and she did hers and we just left it at that–foolish of us–yet we could have worked out the problems. I was never bored with her and neither was she bored with me–I always had an Ace or two up my sleeve plus a few rabbits in the hat. Is she a keeper or a traveler? If she’s just a “toot it and boot it” . . . that’s cool for a James Bond kind of guy. I know I’m now a “retired agent” so I probably won’t be jumping off perfectly good airplanes and submerge myself in frigid waters to fight the bad guys. I will have to find myself a Vesper Lynd (Eva G. Green) and protect her from all harms. Also, Jason Bourne settled down with Marie Kreutz for a while. She’s attached alright. I’d love to play with fire again because I can extinguish it yet it can boil me too as so noted by the dedicated folks here. i have a leo rising and mars. i might be able to help you answer your question. do you know where her venus and moon are placed? I has a taste of Leo love yet she started to become sneaky.. it took me a number of days to have her tell me or or sister tell me..
we love each other way to much.. she is 22 and me 40 its crazy but i am sooo dreamy over her as she is with me..
she recently bailed on me for another guy her age.. who is math smart..